I photographed this beautiful renovated penthouse apartment in São Paulo for the February 2015 issue of Dwell magazine, and one of my photos made the cover! The issue is on newsstands now. Especially excited that everything was shot on film (thanks to Sue, Dwell’s photo editor, for encouraging this). I’ll share the photos from this story later today. I also shot a renovated guesthouse in upstate NY for this same issue of the magazine, and I’ll post those photos later this week. Happy New Year to you all. I took a few weeks off around the holidays to relax, see family & friends, and reset before the new year. After a very busy 2014, it was really nice. Super excited for the year ahead; I have a couple of great projects in the works, and loads of photos to share with you here in the coming weeks. Thanks for following along – more very soon! Good work, Brian. 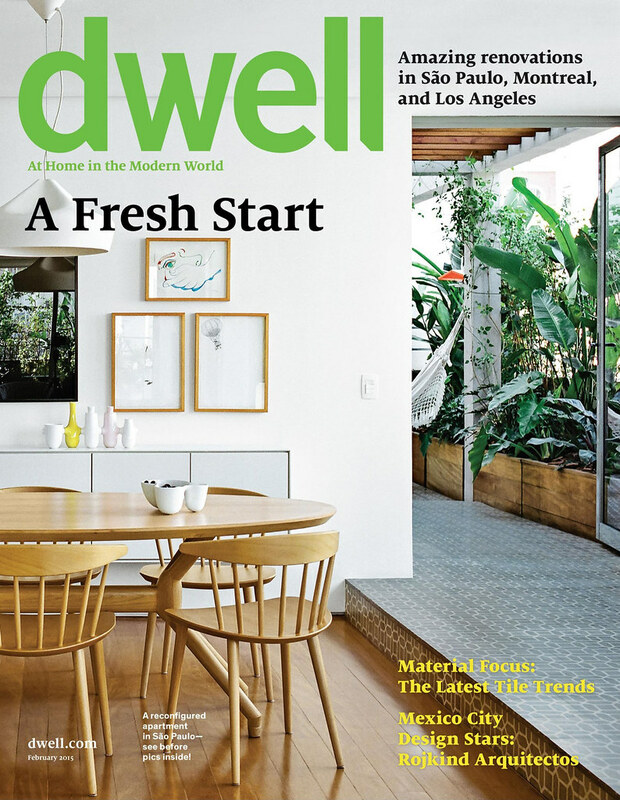 DWELL is a good magazine. I’m proud of you! Congratulations and Happy New Year to you too! “Accomplishment is sweet to the soul.” Well done Brian. Keep up the good work. I enjoy the photography and music. Good news indeed! And beautiful, too. Lovely to witness a little of your process. NICE! congrats! and Happy New Year! Congratulations ! How does it feel ?